I love the feeling of a completed to-do list, a clean house, and a finished project. Don't you? Productivity makes my heart happy. But between numerous activities, appointments, classes, and meetings, those feelings of accomplishment are harder and harder to come by. It's difficult to get things done when there are so many distractions and countless to-dos. If you're like me, you long for simplicity and efficiency. Instead of wishing for more hours in the day, let's strive to be more mindful of the time we have. Here are some tips for making better use of the 24 hours we're given. Prioritizing is essential for meeting deadlines and completing tasks on time. There are a million ways to spend time each day but only a handful are important enough to make a difference. Say hello to your new best prioritizing friend. Each morning, write a list of everything that needs to get done that day. Go through the list and label tasks "important" or "unimportant", then go back through and label them "urgent" or "not urgent". Tackle the urgent/important tasks first, followed by urgent/unimportant, not urgent/important, and lastly not urgent/unimportant. This system helps guard against completing easier tasks first and putting off harder tasks until later. It also creates an order for items on your to-do list instead of completing them at random. After prioritizing tasks, take some time to plan your day. Schedule tasks into your Daybook and set a challenging but achievable time limit for each one. Creating a time frame prevents meetings/projects/activities from dragging on and eating up too much time. I love using the Day Planner insert to organize my day. It has an area to list priorities, a place to write out my schedule, and a section to keep track of tasks that I've completed. Almost all of us are guilty of checking email, websites, and social media several times each day. It starts as an innocent 15 seconds glancing at a notification... and ends after 15 mindless minutes on Instagram. Texts, notifications, and emails aren't bad, but they can be distracting when work needs to get done. Commit to spending a designated time free from interruptions each day. Turn off phone notifications, remove links from your bookmarked sites, and ignore your email inbox for an hour. It might be difficult at first, but you will be surprised at how productive you are when you're free from distractions and time wasters. Large projects can be overwhelming. Take some weight off your shoulders by breaking down a project into action steps. 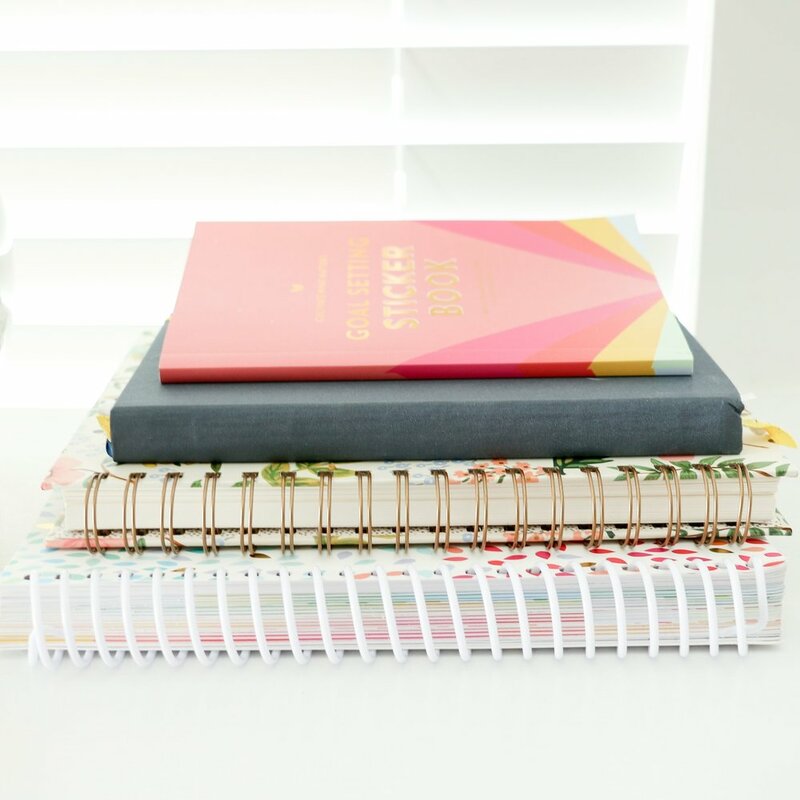 List the steps, estimate how much time you expect each one to take, and schedule them into your planner. 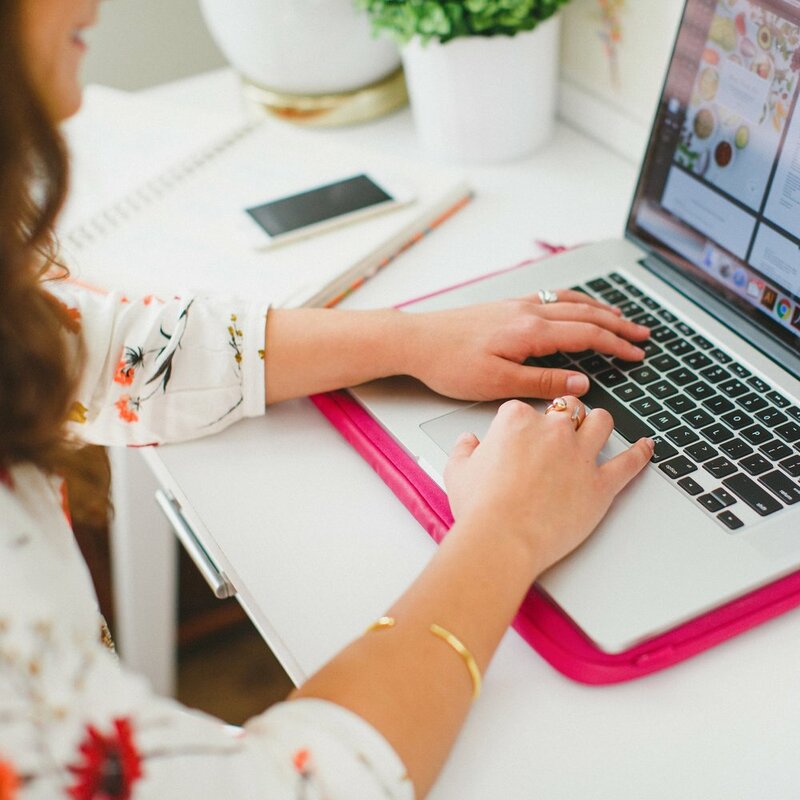 This strategy saves you the stress of putting off a research paper or waiting until the last minute to complete your client's order. Elle & Company's Project Planner is really helpful for big projects. It has space for a description, an area for deadlines, and a chart for detailing action steps. There's a time and place for everything, including multi-tasking. Doing two things at once in the workplace can hamper productivity, but there are many small chores at home that can be done simultaneously. For example, fold laundry while you talk on the phone. Unload the dishwasher while you wait for water to boil. Clean up the kitchen while the dinner is in the oven. Double up on small tasks and kill two birds with one stone. Friends, it is possible to get a whole week's worth of meals out of one shopping trip. Fifteen minutes (or less) of thoughtful planning will save you time, sanity, and countless trips to the grocery store. I may be biased, but I've found our Meal Planner inserts very helpful. The chart at the top allows me to think through meals and snacks for the entire week, and I fill in the grocery list underneath as I go. Of course there are weeks when something comes up in our schedule and meals get rearranged, but proper planning keeps those dreaded trips to the grocery store at bay. No one likes waking up knowing that they are already behind for the day. Before you go to bed, walk through your home and straighten things up. Put away the pairs of shoes by the front door, clear the sink of any dishes, wipe down the counters. Prepare for the following day by laying out what you'll wear the next morning. Place things you need to take with you in the morning by the front door. A few minutes each night can make all the difference between a chaotic morning and one that's peaceful. Try it tonight and you will be so thankful tomorrow morning. Time management isn't about filling up the white space in your Daybook with mindless activity. It's about using your time purposefully so you can enjoy the people and activities that matter most. After all, how we spend our time is how we spend our lives. It's your turn! 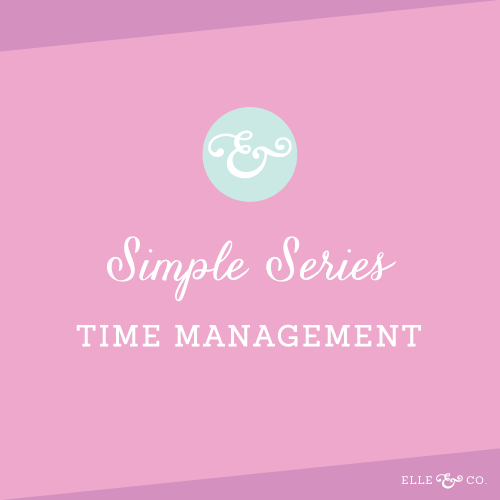 What time management tips and strategies do you have up your sleeve? Which of these 7 tips might be helpful in your daily and weekly routine?